Double check the effective dates of Covered California enrollments. It’s easy to make a mistake with Special Enrollments. I have often written about the mistakes made by the health insurance carriers and Covered California. Now I write about my own mistake. 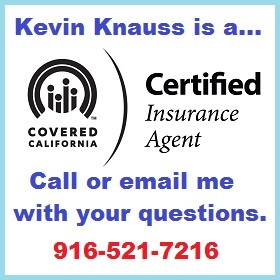 The lesson is to always carefully check the effective date of a Special Enrollment through Covered California. If you select the wrong Qualifying Life Event, even by accident, the effective date of the member’s health insurance plan might be wrong. 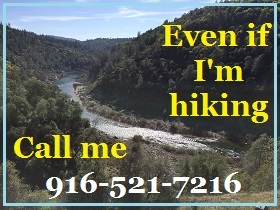 I have a wonderful client family that I helped enroll in Covered California several years ago. They left Covered California when employer sponsored health insurance was offered to them. Recently, a change in jobs meant they needed to come back to Covered California for an individual and family plan. The Qualifying Life Event (QLE) for the Special Enrollment Period through Covered California was Loss of Coverage. The family’s employer sponsored health plan was set to terminate at the end of June. The type of QLE determines when the health plan will become effective. In general, if you enroll before the 15th of the month, the plan becomes effective the 1st of the next month. If you enroll between the 16th of the current month and the 15th of the next month, the plan becomes effective the following month. However, the loss of coverage triggers an effective date of the 1st of the next month as long as you submit the application by the last day of the current month. Submit by June 30th = July 1st effective date. Other exceptions to the 15th of the month rule are the birth of a child or an adoption which allow for immediate effective date coverage. We were submitting a Special Enrollment Period (SEP) application for a loss of coverage event on June 18th, which meant the effective date, would be July 1st. I’ve done enough SEPs with loss of coverage QLEs to know that the effective date is always the next month. We also had to make a few other changes related to one of the dependents going off to college with school sponsored health insurance, but it was a pretty straight forward application. The first thing you have to do when reporting a change to a Covered California account is to select the QLE, even if the individual or family is reporting a change of income. The very first QLE is “Lost or will soon lose my health insurance”. The next QLE on the drop down menu of events is “Permanently moved to/within California”. Qualifying Life Event selections on the Covered California application. Make sure you select the correct event for the right effective date. I submitted the application and enrolled the family in their chosen health plan. Whenever I do an enrollment, I always grab screen shots of pertinent information such as the estimated income page and confirmation of the enrollment. I also grab a screen shot of the confirmation of the first month’s binder payment if I assisted the client with making the payment. I then send all these screen shots to the client for reference. 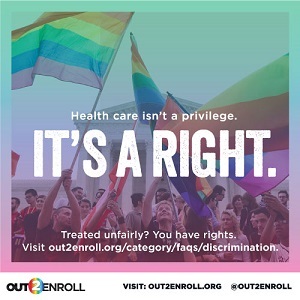 In mid-July I received a call from the family saying they went to their Kaiser facility for a routine appointment only to be told the health insurance wouldn’t start until August. I was shocked because I remember that the QLE was loss of coverage. I checked my screen shot of the enrollment and confirmed August 1st enrollment. This seemed odd and I thought that perhaps the ending date of the employer plan was July not June. The confirmation page of enrollment will show the effective date. Is it correct for the Qualifying Life Event? As I reviewed my other notes it was apparent that the employer sponsored health plan ended in June. So what happened to the Covered California application to change the effective date from what should have been July 1st to August 1st? All changes to Covered California applications are logged, but they aren’t always easy to find. This change and selection of the QLE for the SEP did not show up in the transaction history. I know Covered California has made some changes to the ability to review some changes. But a PDF file is generated every time an application is submitted. I was able to find the PDF of the submitted application. Don’t ask me how I found it. I had to flip through numerous transaction history screens until something popped up that I could download. Covered California generated PDF of submitted application will note the Qualifying Life Event for the Special Enrollment. 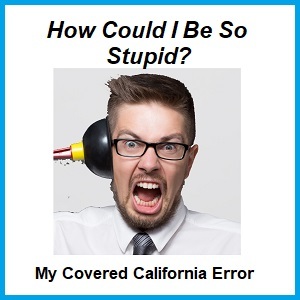 Covered California can’t make immediate unilateral retroactive coverage changes to enrollments. You have to file an appeal. In this case I filed an appeal with the reason of agent error as grounds for requesting a retroactive effective date to July 1st. Within a week of filing the appeal the family notified me that Covered California had contacted them and was researching if they could make the change happen. The Covered California application, or should I say conditions, for enrollment can be complicated. Many parts of the application are date sensitive. The qualifying life events are date sensitive. If you are an agent or a consumer always check the confirmations to make sure the effective dates are correct. If I had caught the error in June, I could have corrected the error by terminating the enrollment and submitting a new application with the correct QLE. I have seen a pattern to my errors. Invariably, the more I chat with a client the more apt I am to write down something wrong, transpose a number, or give the wrong directions. That’s correct; it’s my client’s fault. If my clients would not be so darn nice, funny, and interesting, I wouldn’t make mistakes. Unfortunately, over half the joy of this job is conversing with some wonderful people about life, art, kids going to college, vacations, or the latest book they have read. Consequently, I can’t turn into some machine that only takes data and never talks to my clients. This means I have to be more diligent and double check my work. I hope writing about my error will help other agents and consumers avoid the same mistake.